A hot runner system with electric valve gate system and 4.0 injection technology are the strong points of the production unit of a polycarbonate salt and pepper shaker. Quality technology and collaboration are the key to successful projects. 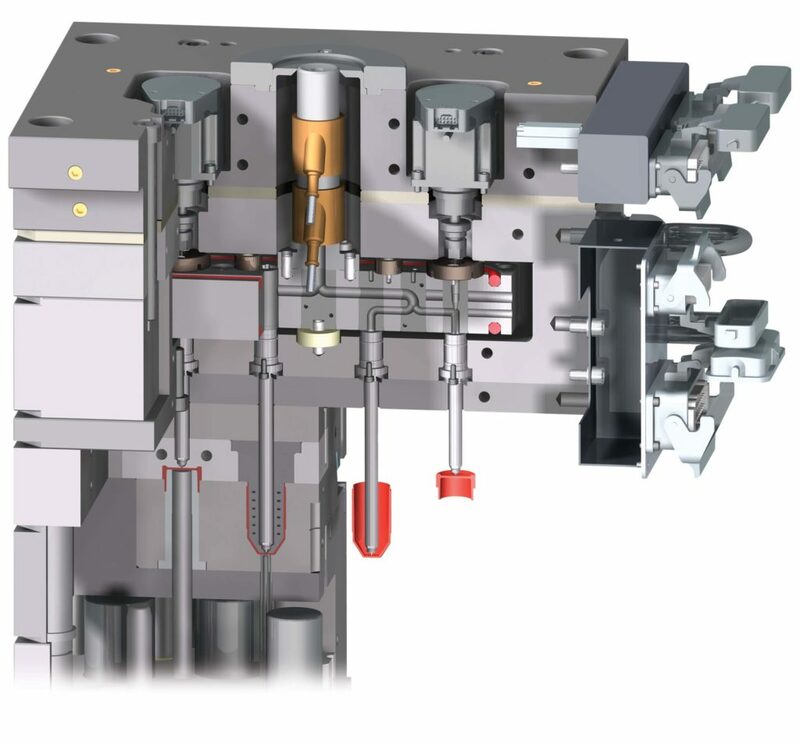 An example of this being the process presented at the Wittmann Battenfeld stand, which featured the collaboration of the Austrian injection press constructor with the German hot runner producer Ewikon. The other partners including Guzman Global, Poliblend and IceFlex. 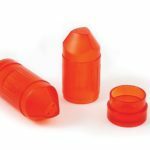 The heart of the production cell is the 2+2 drop family mold supplied by Ewikon (that also is the owner of the mold), for the production of the parts of a salt and pepper shaker: the container and a removable bottom lid for refilling. Both parts are made of high-fluidity polycarbonate (Lexan ML3729 by SABIC) supplied by Guzman Global. While the blue and violet masterbatches are supplied by Poliblend. The container with a shot weight of 8 g is gated internally using a heat conductive tip insert, thanks to a specially machined screw tap and close contour cooling produced using patented LaserCusing technology. 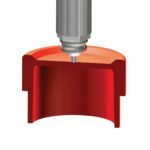 Due to the compact nozzle size (3 mm), requiring an installation space of only 12 mm, the inner gating point is easily reached. The nozzle used for the bottom lid with a shot weight of 4.8 g is model HPS III-S3 in its gate valve version. The valve pin is actuated by an electric step motor drive with encoders for valve pin position monitoring. In order to assure the correct and balanced filling of both components, the cavities of the bottom lid open with a delay time, in relation to the start of the gating, thanks to the EDC-PRO controller. 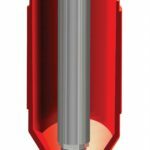 As it involves the processing of an engineering polymer, high-level and constant thermal performance is necessary, temperature control is of direct type, using heating elements and a thermocouple inserted into special slots machined into the metal body of the nozzle itself. The Temi Plast 4.0 software is easy to use, but not banal. Thanks to its modular design it can be implemented in a gradual manner, and can be extended to the monitoring of the entire production process, from the input of an order, proceeding through the attribution of process data of a production lot extrapolated from the individual machines and ending with the printing of a label or QR-code that indicates the macro-characteristics stored in the production server. The architecture developed on the web-browser and the TCP/IP communication protocol makes it possible to use the software on various platforms, thereby assuring the necessary degree of user flexibility and versatility, so that it can integrate not only with the latest injection presses and equipment, but also the older versions. The extent of the potential offered by Temi Plast 4.0 is highlighted by two optional modules that can be added to the standard ones: Touch and PrintToPress. The first makes use of a large wall display, connection to the company network, which it makes it possible for the department operators to monitor the production, and to view any eventual alarm situations or machine status, whilst always remaining updated on new order planning. While PrintToPress consists of a small capacitive screen with integrated micro PC, installed on board the machine, and an adhesive label or QR code printer. 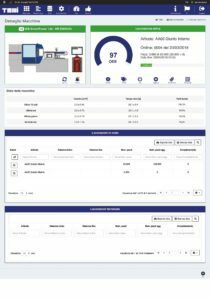 The first makes it possible to always have a window open on the Temi software and to directly monitor the start and stopping of operations directly from the machine. The printer is directly controlled by the Temi system, assuring the traceability of the production lot as the newly produced items can be identified by means of label or QR code. The Temi 4.0 structure is completed by the following software packages: Qualità, Pdf folder, SMS press alert, KPI Pro and Machine setting. While for large scale companies that require interfacing with ERP or other factory systems, Data Collector is the ideal solution. The electric gating developed by Ewikon permits the total control of the valve gate movement, even in the case of sequential molding, and to be able to manage various positions in the same molding cycle, thereby making it ideal in the production of articles of complex geometry. Furthermore, the electric step motor actuation sets benchmarks in the use of this technology for production in controlled environments, such as cleans rooms in the medical sector. The control technology is a key factor in order to fully exploit the electric actuators. The EDC-PRO control unit making it possible to use the step motors with the greatest precision and flexibility. It is possible to manage up to 32 actuators in either manual or automatic mode with various control options such as stroke and opening or closing time settings. The extended movement control feature permits the control of up to six positions of the gate within a molding cycle, making it possible to set complex positioning sequences. Thereby making even more complex molding operations more intuitive. 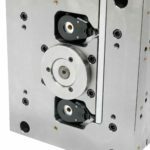 The new control unit enables the use of actuators of various sizes at the same time, assuring a greater degree of freedom during the design stage. In line with the 4.0 industry concept, thanks to the configurable connections, the control unit can be more easily integrated within the company network, while the new touch screen concept with a high resolutions display makes for more intuitive user-interface. The electric step motors come in three different sizes for different valve pin diameters and with clamping forces of up to 1600 N. All the electric actuators use an encoder for constant position monitoring and with an accuracy of 1/100 mm. In case of deviation the valve pin is automatically readjusted, or in the case of persistent problems, can be deactivated. The production cell, with full connectivity according to Industry 4.0 principles, consists of an Wittmann Battenfeld SmartPower injection press with a clamping force of 120 tons. This machine range introduced four years ago by the Austrian manufacturer is available in versions of between 25 and 350 tons, featuring compact dimensions and servo-hydraulic drive, which combines the advantage and cleanliness of the piston hydraulic closure device, with the accuracy, repeatability and low energy consumption of fully-electric machines. The efficiency being enhanced by the electric servo-pump and the recovery of the kinetic energy generated in the declaration stage of the drive (KERS system), which is later reused for heating the cylinder. 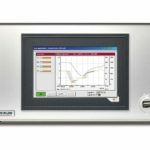 The new Unilog B8 control version will be presented in Parma with 21.5 inch video touchscreen. The operating system is Windows® 10 IoT which facilitates the interconnection of the press both with the auxiliary accessories by means of its integrated router, and with the MES systems by means of the special Euromap interface. 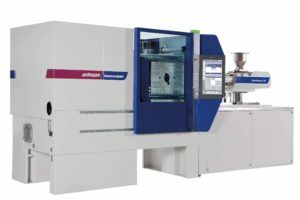 The injection press prepared for Plast is ready for Industry 4.0 and for this purpose the Tempro Plus D160 dual zone temperature controller by Wittmann – is operated directly from the machine control panel, and features memorization of common parameters and the possibility of entering values into the press’ quality table. The Gravimax gravimetric blender is also of the same brand to ensure constant and precise granule feed, with the trolley-mounted Drymax dryer further up. 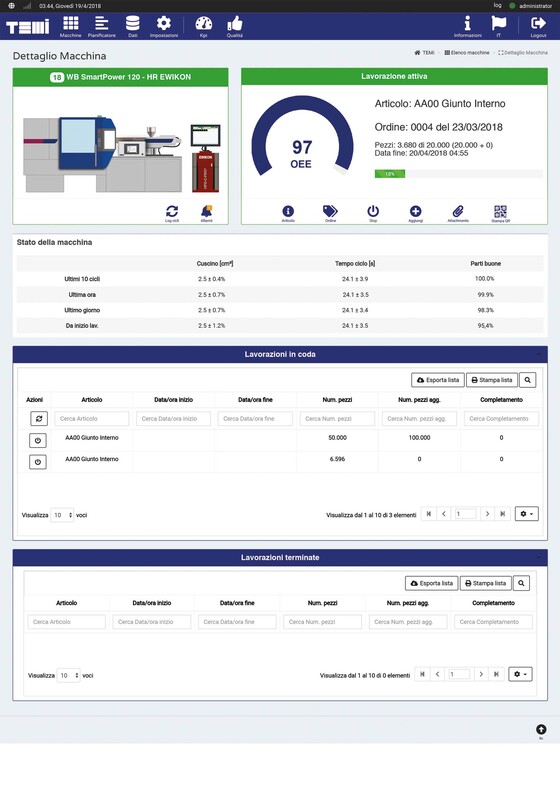 The Temi Plast 4.0 system by the Italian software-house IceFlex supervises the molding cell in order to demonstrate the advantages of Italy’s hyper-amortization incentives introduced with the 4.0 Industry Plan. 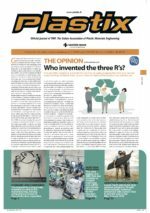 It in fact consists of a MES (Manufacturing Execution System) software developed to meet the specific needs of the domestic industry, with an eye to the small and medium sized companies which are in the process of adopting digitalized production processing, whilst at the same time meeting the requirements in terms of interconnection and functionality required by the Ministry in order to be able to take advantage of tax incentives.